This Dragon Belly shawl is a beautiful asymmetrical hand crocheted shawl. 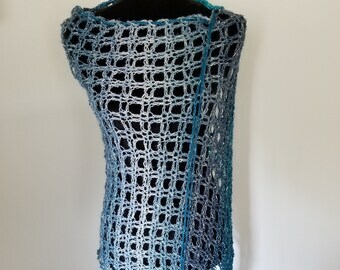 It is a light weight shawl perfect for summer outings, weddings, beach, etc. I also can be worn during the cooler months as an accent to your outfit. 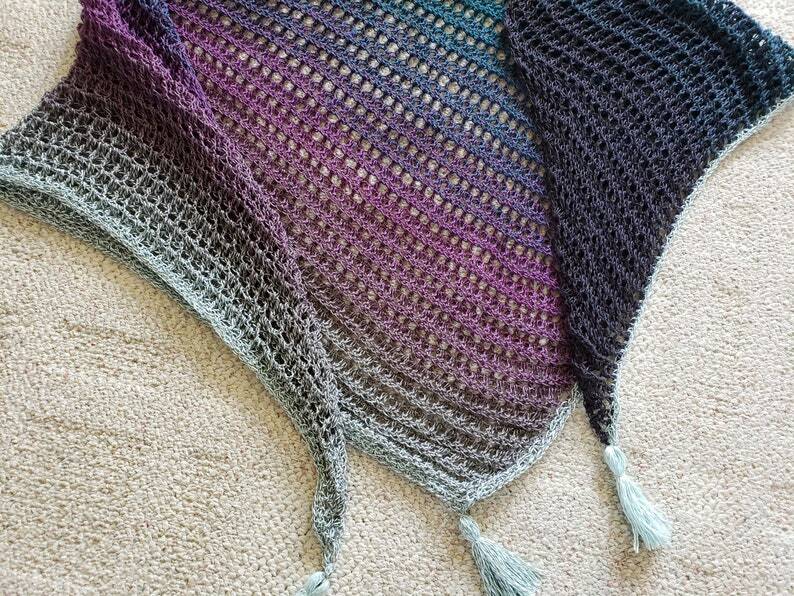 It is a soft and airy triangular shawl that drapes very well. Also there are cute tassels on each corner. The yarn that is 60%cotton/40%acyrilic. It is machine washable on delicate, and I would suggest lay flat to dry. The colors are gradient shades of gray, green, burgundy and taupe. Measurements are 76 inches in width and 34 inches in height.